I met Bianca at one of the female entrepreneurs networking events and I was surprised with the ease and confidence she talked about money, making me think about my own unease around this topic. Why am I intimidated by the subject, what is it that makes me uncomfortable to speak even to my husband about this subject? Bianca immediately assured me that’s a common problem and her job is to change the way women think of and deal with money, but based on a fun and playful method vs. hard work and daily studies. As it turned out Bianca-Janina Kux is a Positive Strength Coach and the founder of Rich Women Cash Flow Club. This caught my immediate attention and I wanted to find out what is this club about and is there something particular about women’s mindset that’s different from the male approach? We all know how women are famous for spending rather than for investing. Is this something she is addressing as a topic as well? Tsitaliya: Can you introduce yourself and share what impact you want to create in the world? Bianca: I am inspiring women to discover and fully claim their talents, to break through their fears and to live wholeheartedly. I accompany corporate women on their way to unfold their full potential. I help them to listen to their heart again and to follow their inner voice so that their personality begins to radiate authenticity and sparkles! Tsitaliya: Why did you start the Rich Women Cashflow Club? Bianca: I founded the club as an accountability program for myself. When I turned 40 I was in an international job with a great salary and had no clue on what to do with my money except for spending it on clothes and traveling. I did not know how or where to properly save and invest my money. 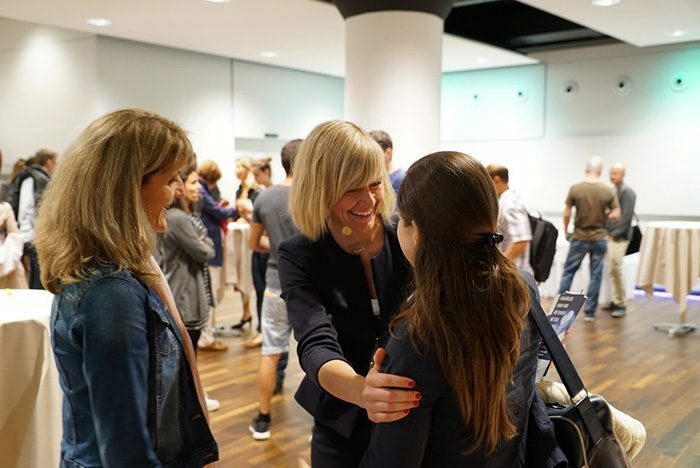 So I signed up for courses like Wealth Mastery with Tony Robbins and when I came back to Switzerland I found the Institute for Financial Education and also booked a course there. Here we were asked to train our money mindset before actually starting to invest. What I was not aware of before going on that journey is, that money is really about 75% mindset and the rest is know-how on how to invest. And then it’s about having the right system in place. That’s what made me start evening meetings with three friends to help ourselves train our money mindset. After a year I was asked to do an event and 50 ladies attended, training our money mindset for a day! It’s fantastic to see women thrive and take responsibility for their mindset and their money. Money really is the essentially energy in our lives that we have been neglecting for such a long time. 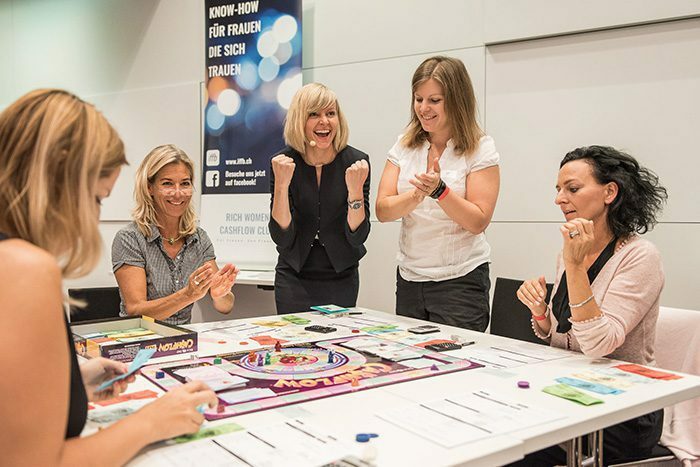 When you think about it our mindsets are so negative about money: „money stinks“ or „rich people are ignorant”, but now its time to welcome this energy back into our life in a playful and female way. Tsitaliya: What is the most common problem you see amongst women when it comes to handling their money? Do you see any difference in the way men and women think of money and if yes where is this coming from? How can we change that today when we are raising our children? Bianca: I believe that the main difference between women and men in terms of their money is that the male energy is about accumulation, while the female mindset is influenced by the idea of community. Women like to do things together and share. At the same time I often hear women say that they don’t find support from their friends and their partners. That creates dependencies which keep women from actually stepping into their own financial power. Women also face a pay gap of about 20% vs there male counterparts so naturally they learn how to deal better on a smaller budget. Statistics even say that women are better investors. This could be related to the higher risk aversion of women, they research topics better and therefore choose better longterm strategies to invest. And they „gamble“ less. Today many women have fears that prevent them from actually handling the topic themselves, but it is about time for us women to start claiming an abundant money mindset! Once we start teaching our kids that money is an essential energy vs something bad, I think this will already have a big impact on how they grow up. And I also think we need to cultivate in our children a more entrepreneurial spirit, how to think in a free and independent manner. The book „Rich Dad, Poor Dad“ from Robert Kiyosaki is a great inspiration to start your journey. Tsitaliya: What is the best tip you can give to women who are struggling with money issues? Bianca: When we have our Cashflow Evenings it’s fantastic to see how you can change your mindset in an instant. I always ask the ladies to check in with themselves: are you happy with how things are going at the moment. If not, what can you change immediately? And then change it on the spot! Tony Robbins is a great example with his teachings around how you can change your state in a second! Its all about conditioning yourself to think differently and in a healthy way about your money. How do you treat it? How does it make you feel? How do you value it? And I believe that money starts flowing into your life once you have discovered your talents and how you can add value in this world. So this is an interesting way how to approach yourself and look at your assets and how you can bring them to the world. Tsitaliya: What is the biggest misconception you would like to debunk around money? Bianca: I am not good enough and I will not be loved are the primary fears that we face as humans. Simply imagine what that does to your nervous system and you money mindset if you keep on believing that you are not good enough? Will money come flowing in with abundance? Probably not. As money is a form of energy you have the possibility to chance this belief and create a new one that serves you better! I also hear from a lot of women, I am not good with numbers – I’m not sure if I will understand! Also here its about beliefs. How much easier would it be do you think, if you would tell yourself: “I’m curious how this works!” and then find ways how to learn easy and playfully in a group of other ladies that love to walk the same path of claiming their financial abundance. I have seen so many wonderful developments and magical changes in women who have taken the decision that their beliefs will not hold them back anymore and have committed themselves to making themselves a priority and that not only for a day but for lets say a year! When you measure where you are today and where you will be in a years time when you take constant action, I guarantee you: you will be amazed!! 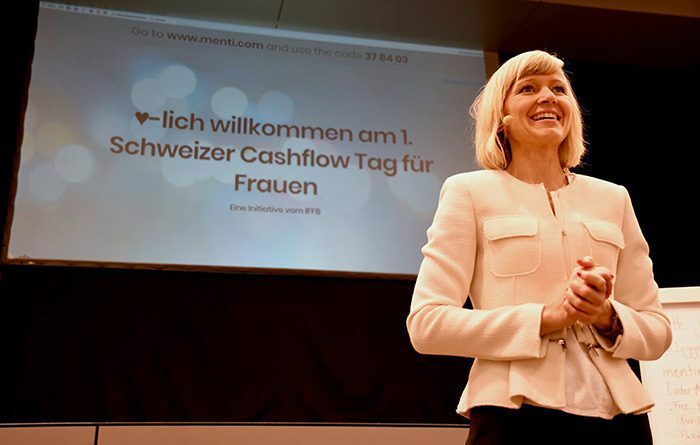 If you want to try the next Cashflow Day check the upcoming one on the 5th of May. If you bring a friend you will get 50% discount for your ticket. The event is held in German, but there is one game table with English speakers.